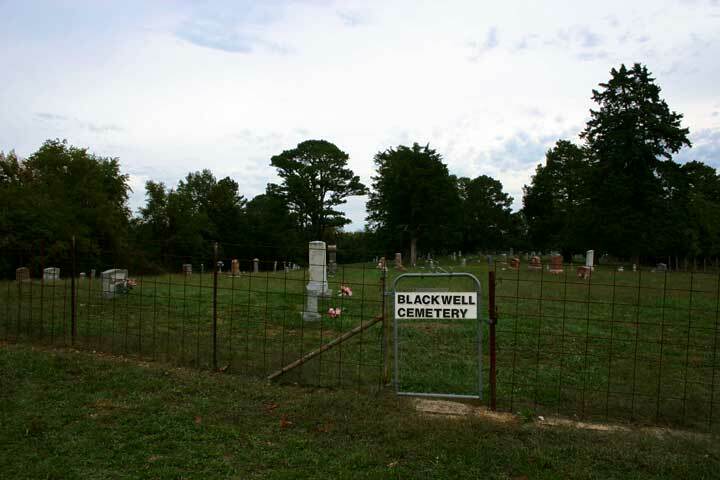 Directions: Blackwell Cemetery is located on a narrow gravel road, CR 313 in Dent County, north of Salem. Travelling north on Hwy. 68, turn left (west) onto CR 318, then turn right (north) on CR 312, and turn right (east) on County Road 313. Watch out for farm animals -- there's a farm on CR313 that lets the animals wander right onto the gravel road. The cemetery is at the end of CR313. It was in fair condition when I visited there in Oct. 2006, although it was a bit "spooky" for me for some reason. I usually go with my feelings, so I did not attempt to wander this cemetery by myself.